Editing, editing and MORE editing! Bright Photography took to the streets to meet up with a couple BC sports heros, Trevor Linden & Steve Nash, and capture them running with the Olympic Torch! 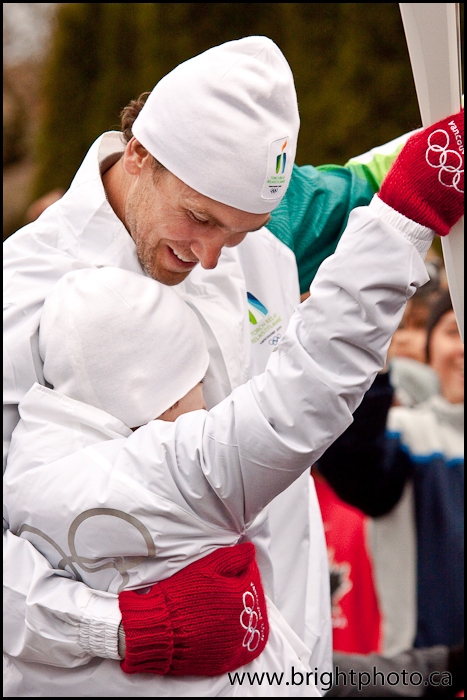 Trevor Linden passing off to the next torch bearer.